Throughout the year, our Storm Ambassadors have been working hard on projects to share the mission of Storm Bowling Products while sharing their passion for bowling with local bowling communities across the United States. Recently, our Ambassadors worked on a special project with a very hard-working bowler. They’ll share their story below. If you frequent any bowling center in the Boise, Idaho area, you’re likely to bump into Jon Harmon, 37, who spends many hours a week fine tuning his game. Since the young age of 9 years old, Jon has used bowling to help him thrive while living with autism. His determination has helped him succeed on the lanes and bowl two sanctioned perfect 300 games. For Jon, bowling presents a great way to meet and socialize with new people while providing technical and physical challenges that keep him striving to bowl at higher levels. 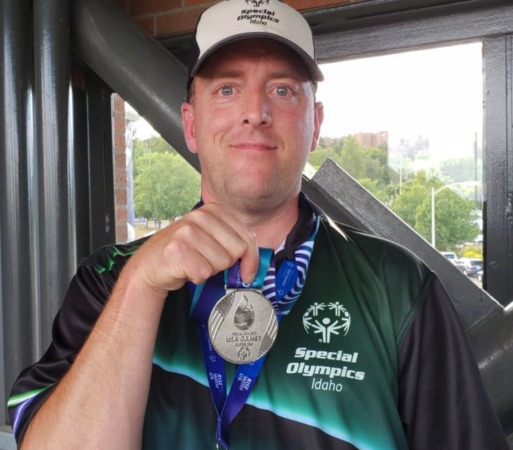 In addition to bowling in leagues and local tournaments, Jon also competes for Team Idaho as an athlete in the Special Olympics. 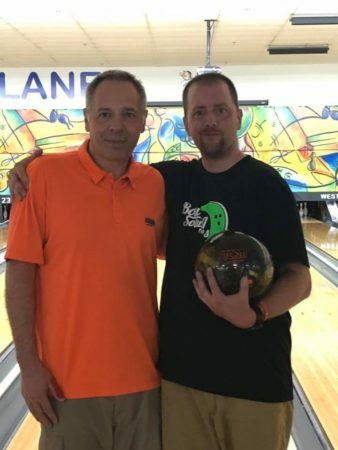 owner of Bowling Solutions Pro Shop agreed to donate the drilling and the ball was presented to Jon midway through a Wednesday night tournament. Jon was so excited to receive his new Son!Q, he pulled it out of the box and finished the tournament with zero practice. Now that’s confidence! 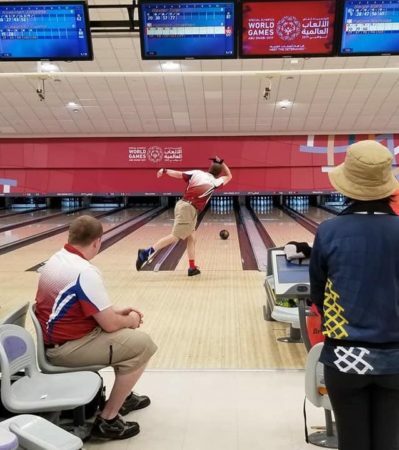 On July 2nd, Jon and six other bowlers lined up at Kenmore Lanes in Kenmore, Washington to start their three-game competition. Jon chose to start with the Son!Q and stayed with it for all three games. 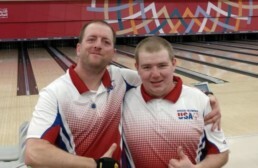 Jon rolled games of: 201, 156 and 207 to win the silver medal in the men’s high-performance singles category.